Jason A. Grossman joined Turek Roth Grossman LLP in 2014 as Partner and Head of the Litigation Practice Group. He is involved in all phases of litigation for the firm's clients, with an emphasis on representing the interests of cooperative apartment corporations and condominium associations in contract and construction disputes, residential and commercial landlord/tenant issues, and other types of commercial, business and real estate litigation. 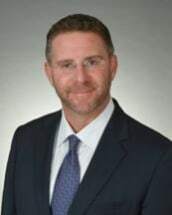 Jason has developed an extensive background in all areas of litigation and dispute resolution from his near 25 years of big law firm experience, most recently as Managing Attorney of Latham & Watkins LLP.